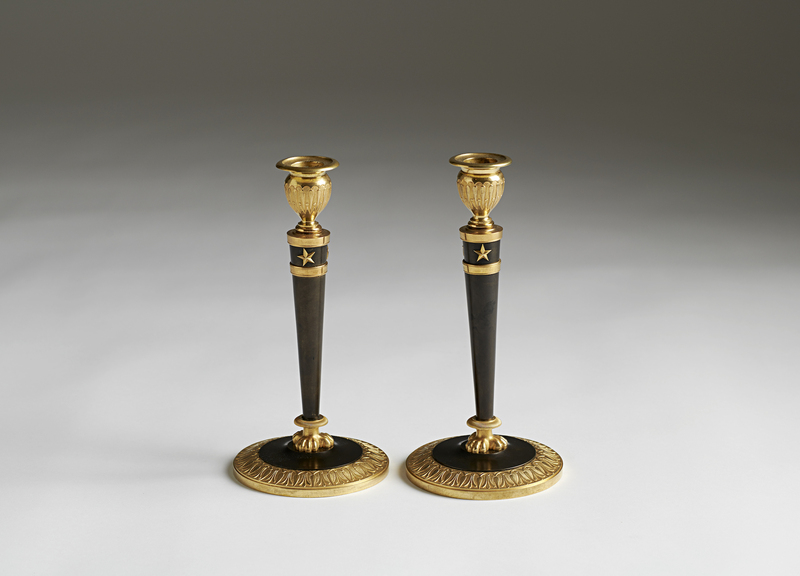 A Pair of Candlesticks attributed to Claude Galle Paris Circa 1807. 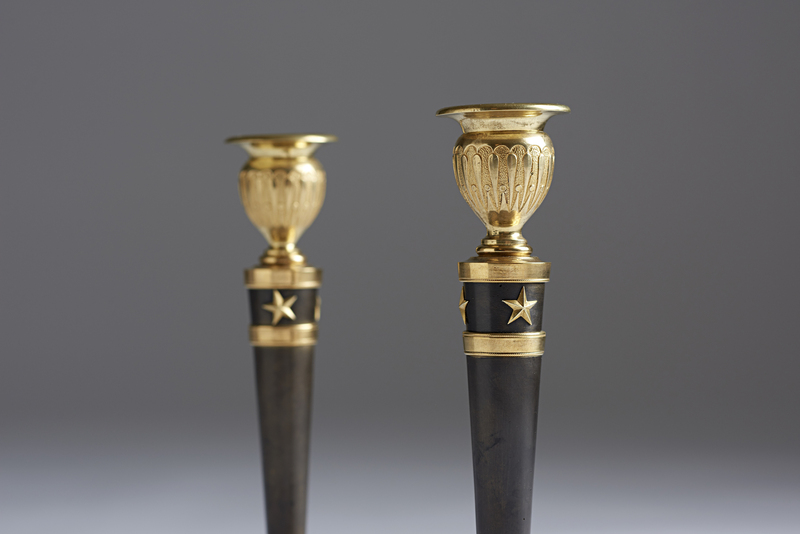 Each candlestick with a patinated tapering shaft surmounted by gilt stars supporting a anthemion cast vase-shaped nozzle with decorations. Standing on a palmette cast base. Claude Galle started as an apprentice for fondeur Pierre Foy. He took over the workshop in 1788 when Pierre Foy died and built it up to one of the finest in Paris, he worked together with some of the best bronziers of the time. 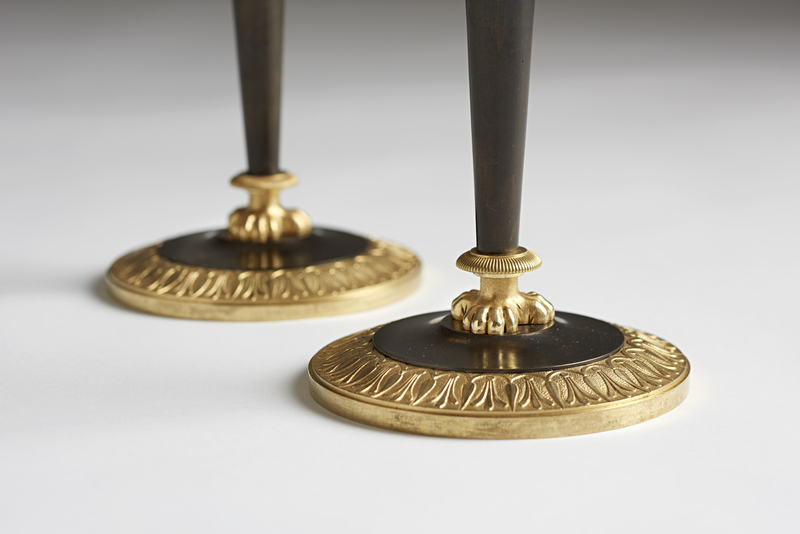 After the French revolution he continued his work and became one of Emperor Napoleon´s favorit bronziers. He supplied bronzes not only for the Imperial court and the french aristocracy but also for several Italian Palaces.